Lush opened a series of ‘world first’ concept shops around the globe in 2018. 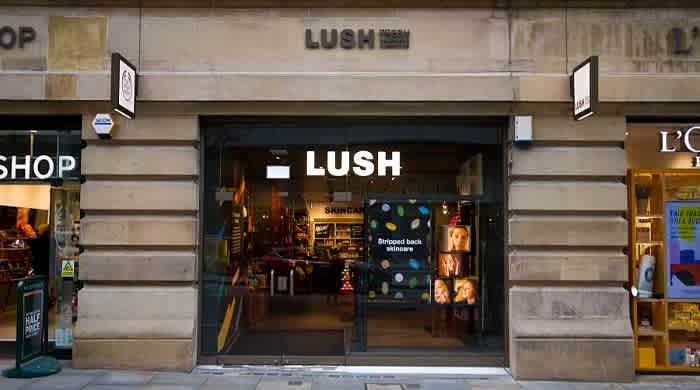 On Friday, 18th January 2019, Lush’s first ‘Naked’ cosmetics shop on 10 Market Street, Manchester, UK has opened its doors after a renovation into the first plastic packaging-free cosmetics shop in the country. This shop will be launching along side Lush’s global Naked Skincare campaign. Since establishing 24 years ago, Lush has been driven by innovation and its ethics. 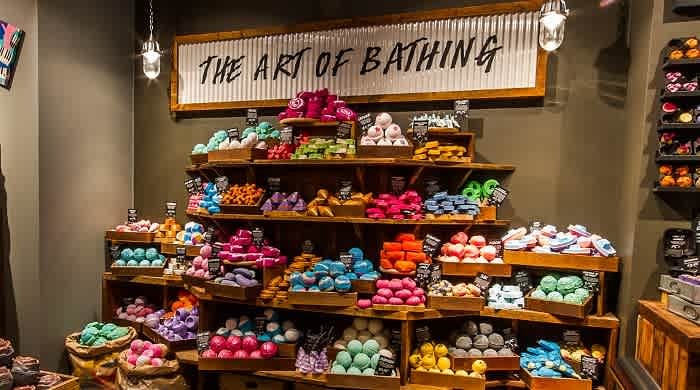 Creators of pioneering beauty products such as the fizzing bath bomb, shower jellies and solid shampoo bars, Lush places emphasis on fresh ingredients like organic fruits and vegetables. Lush fights tirelessly against animal testing and operates a thoroughly comprehensive Ethical Buying department, developing fair and direct trade initiatives. 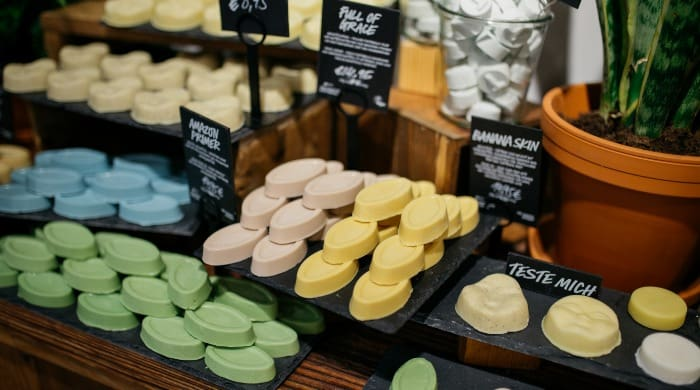 Lush leads the cosmetics industry in combating over-packaging by running public awareness campaigns and developing products that can be sold ‘naked’ to the consumer without any packaging. With awareness of plastic pollution at an all time high, Lush’s newest Naked shop will host an abundance of innovative and plastic packaging-free alternatives to your favorite cosmetics – from the classics, such as solid shampoo bars and soaps, hair care, skincare, bath bombs, shower gels and everything in between to new naked skincare innovations. Reducing the packaging is something Lush has been working on for so many years. 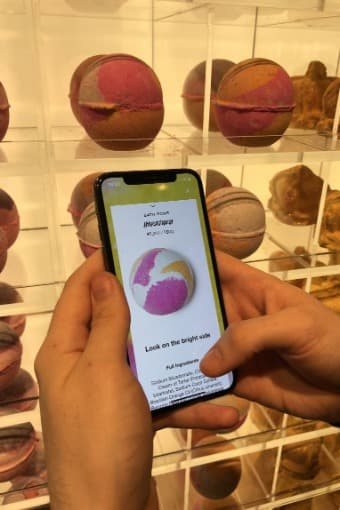 However it is only now, after 20 years of development, that Lush is able to fill up a whole shop with innovative naked cosmetic alternatives.Rather than scanning labels for information, visitors to the shop will instead be able to scan products directly using the recently launched #LushLabs app, replacing packaging with a digital solution. Lush Lens is an in-development experiment feature which enables Lush to reduce their impact on the environment by using the phone’s camera and machine learning, to recognize products through the user’s smartphone camera and give the customer detailed ingredient information and ‘how to use’ demonstrations via the app. The new ‘Naked’ shop in Manchester, UK follows the success of Lush’s first Naked shops in Milan and Berlin and the first tech focused bath bomb concept shop which opened in Tokyo. Since opening in 2018, the solid shampoo bars have been their most popular products – with almost 8000 sold. That’s up to 616,880 hair washes that haven’t come from plastic bottles! Reducing packaging is something Lush has been working on for many years. This new opening aims to push the boundaries and is an exploration into what further things they are up to. 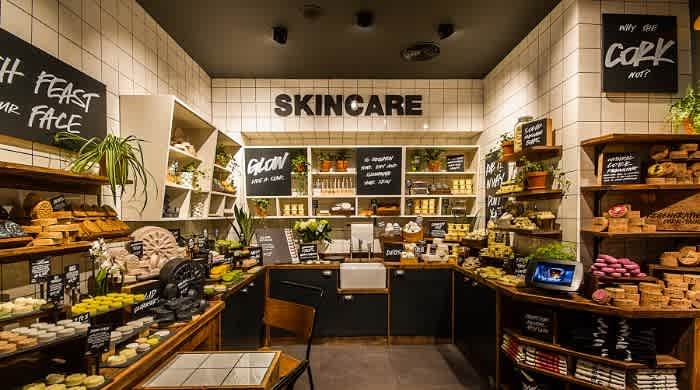 It is also a celebration of the fact that, after 20 years of constant development, Lush is able to fill up a whole shop with innovative naked cosmetic alternatives and offer a brand new shopping experience to its customers using technology, alongside it. #LushLabs app: Backed by their ethical approach to tech, Lush Digital’s R&D team, Tech Warriors, are releasing a selection of work-in-progress experiments through the app and are inviting the public into their development process to trial and give open feedback through #LushLabs, Lush’s destination for development and research. Saved 1.8 million* bottles of plastic bath products by choosing naked Bath Bombs, Bubble Bars or Bath Melts instead. Had around 89.8 million** plastic free hair washes using naked Shampoo Bars. To keep an eye on all the campaign action and tips on how to build your 2019 naked skincare routine, follow #LushNaked via social and visit lush.com and shops worldwide now. Isn’t it time for you to join the naked revolution? What do you think of these ‘naked, packaging free products’? Tell us your thoughts in the comments section down below or you can also tweet to us @fuzzable.